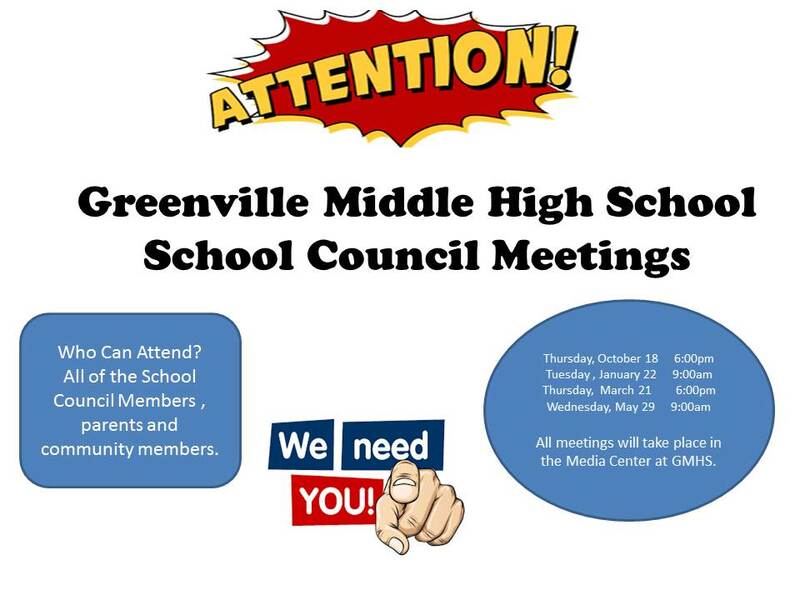 Click on the button below to see flyers for, and pictures of, parent and community events taking place at Greenville Middle High School. 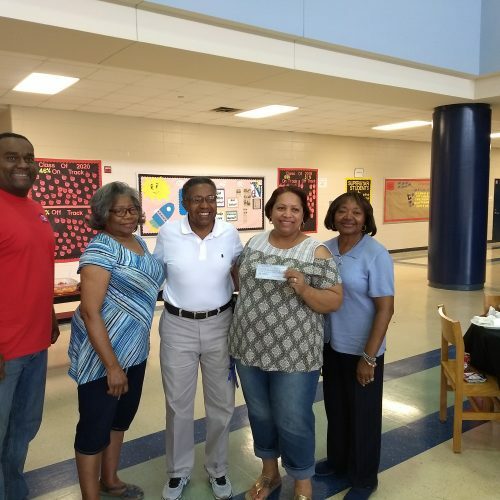 Rust Chapel United Methodist Church made a monetary donation to help the school purchase books for the Media Center. 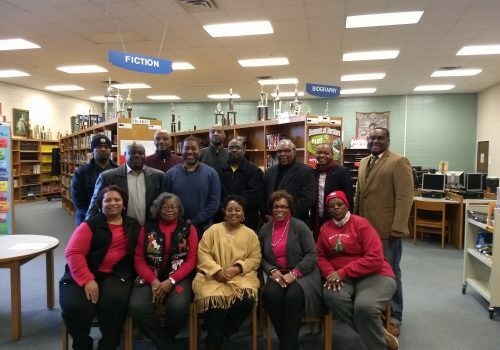 We want to thank our faith-based community members for helping to improve and increase our reading scores. 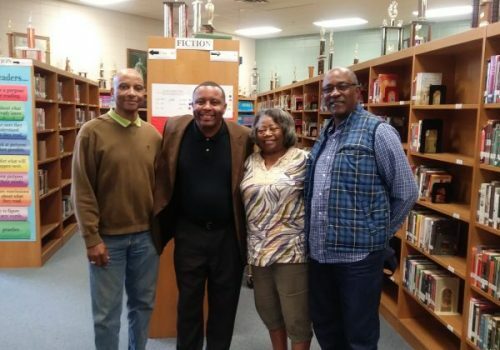 Pictured (from left to right): GHS Principal Thaddeus Jackson, Charlene Glover, Pastor Lonnie L. Thornton Sr., Tabatha Barnes, and Dora Terry. 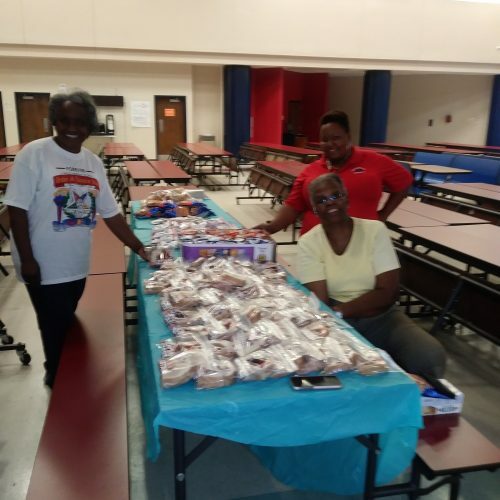 Bernice Chapter No.234-Greenville had some of their members come out and help feed the GMHS band before a game on September 14. 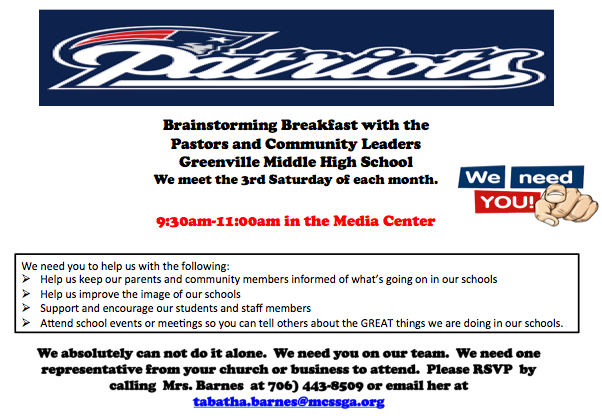 Members helping out were: Mrs. Jacqueline Dyal, Ms. Tiffany Dyal, and Ms. Virginia Hill.